This week the lovely Bron has come up with a fab sketch to challenge us over at Just Add Ink!! Lucky I'm going away up the coast for a long weekend (starting today) and I think that will rejuvenate me! I can't wait to see your take on the sketch, so jump on over to JAI and link up!! 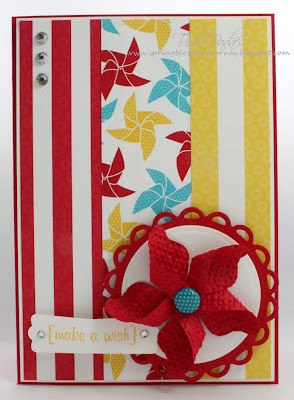 I love the whole pin wheel theme and the gorgeous bright colours. Your mojo hasn't gone anywhere, Trish. Have a great weekend away. Trish this card is great and with your use of colours it has such a vibrant, party feel to it. Enjoy your time away. Your mojo hasn't gone anywhere - this is such a bright, fun card and I love that you embossed the pin wheel. Hope you guys are having fun! It's a beautiful, bright and happy card Trish. I love the little pinwheel - so cute! Trish, I really love this bright, happy & cheerful card. 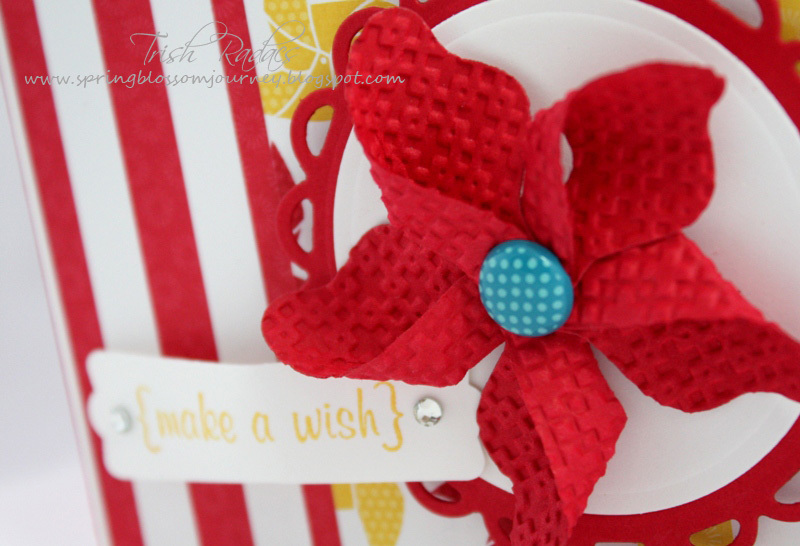 The pinwheel is a FANTASTIC embellishment. Hope you enjoyed your time away. Love the bright colours Trish, and the fun design. That pinwheel is so cute! New follower. I love your card designs.